This recipe is easy, requiring just 5 ingredients and simple methods to prepare! 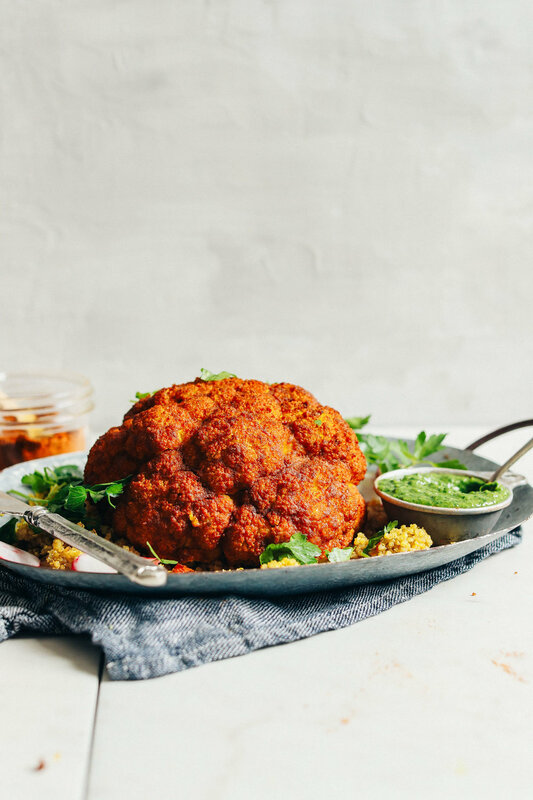 Super appetizing whole cauliflower recipe here. This makes the perfect, vegan, tender dinner.